Glamour magazine will cease its regular print publication starting next year with a focus on “doubling down on digital,” according to an internal email from editor-in-chief Samantha Barry. 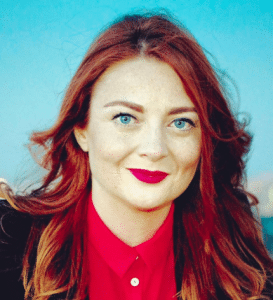 Barry, who was appointed as EIC at the start of this year, was the first digital-native editor for the brand, coming from CNN where she headed the network’s social media strategy. This hire by Condé Nast’s artistic director Anna Wintour and CEO Bob Sauerberg was one of the major steps for Glamour in its transition to a digital-first strategy—a strategy that has been steadily transforming several female-facing fashion and lifestyle brands over the recent years, including Condé’s Teen Vogue who shuttered its print product at the end of 2017. The brand began reducing its print product at the end of last year when its frequency went from a monthly run to 11 issues per year, though Glamour‘s total paid and verified subscriptions have remained steady around 2.2 million since mid-2015, according to the Alliance for Audited Media. It’s final print edition will be the January issue, which is scheduled to hit newsstands on Nov. 27, according to a New York Times report. Beyond digital, Glamour has also been turning to other engagement points, including growing its event programs. 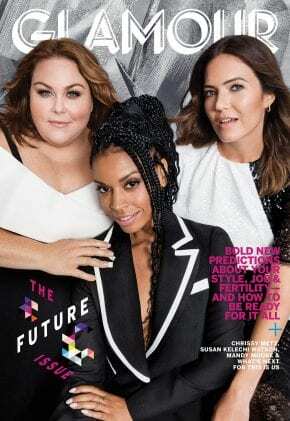 One of the editor-in-chief’s recent projects was the expansion of the Women of the Year franchise, turning the 28-year-old event from a one-day ceremony to a three-day summit that took place earlier this month, and was aimed at providing further points of experiential engagement for Glamour‘s readership. Thank you for joining the huddle this morning about Glamour’s growth in 2019 and beyond. You can also read the piece in the Times, that’s just published. I’m delighted to share this plan with you all. Here are the headlines: We’re doubling down on digital—investing in the storytelling, service, and fantastic photo shoots we’ve always been known for, bringing it to the platforms our readers frequent most. We’ll be expanding video and social storytelling, with new and ambitious series and projects. As a result of this investment plan we’re going to move off of a monthly print schedule, but please know this does not mean we are ceasing print entirely. We’re going to use print the way our audiences do – to celebrate big moments, like Women of the Year, with special issues that are ambitious, lush, and have longevity. I’ve spent the past year getting to know Glamour’s audience, and I’m confident we are heading in an exciting new direction. Think about it this way – in print we reach 2 million readers, but when you look at our digital footprint, we reach 20 million Glamour fans. Our audience has grown +12% YoY on Glamour.com, with engagement up +5%, social engagement is up +27% YoY, and our followers on Youtube have grown +111% YoY. This growth is due in large part to the incredible work of this team. You all contribute across platforms, from print to podcasts, and as we roll out this new plan I’ll want to connect with each of you to discuss how we continue this growth. Across every platform, Glamour is the ultimate authority for the next generation of change-makers; leading the conversations, informing and entertaining. As we head into our 80th year, I believe this to be true more than ever before!